Pay attention now, there’s a big beardy guy doing something interesting by melding hip-hop beats with rootsy, soulful songs – and I don’t mean Rag’n’Bone Man. 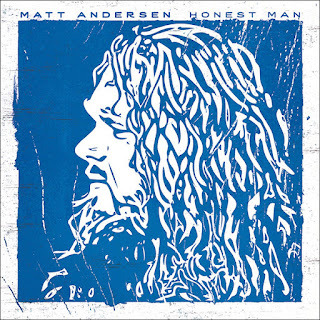 Nope, I’m talking about Canadian singer-songwriter Matt Andersen, whose album Honest Man shows off the quality of both his supple, resonant voice and his songwriting collaborations. The use of beats was the idea of New York producer Commissioner Gordon (yes, really), giving a modern twist to an artist who generally starts from an acoustic base. And it has to be said it works like a charm, whether it’s on the likes of opener ‘Break Away’, with its summery, Jack Johnson-like feel and sprinklings of bright guitar, or the similarly reggae-fied ‘All The Way’, which has a steadier groove reminiscent of Clapton’s version of ‘Knockin’ On Heaven’s Door’. 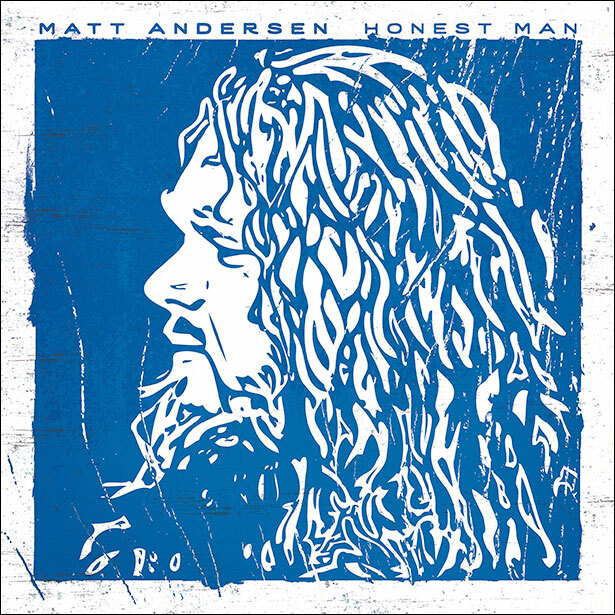 The title track juxtaposes a shuffling beat with soulful horn riffs and dashes of organ, while Andersen effortlessly demonstrates that he knows what he’s doing vocally – he’s got a great range, great control over long extended notes, and great sense of dynamics as he goes from booming to muted to bring out the best of the material. Meanwhile ‘Quiet Company’ adds some country stylings to the beats to convey a rural idyll. The beats don’t dominate entirely though. Andersen can do sombre alright, as on the gorgeous piano-and-vocal ballad ‘I’m Giving In’, with its chorus of earnest submission and big bridge. And there’s a straight-ahead, simple rhythm on ‘Last Surrender’, a sublime piece of aching, soulful pop worthy of Motown. 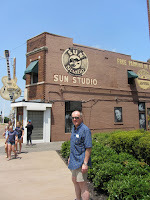 Current single ‘Who Are You Listening To?’ has more of a kick to it, recalling Gerry Rafferty in one of his more upbeat moments, with crackling electric guitar from Benji Bouton and some bubbling piano. The album closes with ‘One Good Song’, a dreamy, more country-acoustic piece featuring flute accompaniment, about the vicissitudes a musician is prepared to endure in pursuit of the elusive prize of the title – with plenty of evocative lines such as “I’ll take Christmas alone in Australia, I’ll take ‘Hi, how are you?’ on the phone”. The PR bumf says that Andersen has no need to worry about having just one good song, and for once it’s not empty rhetoric. Quite how these songs will work when he takes them on the road for his upcoming solo tour, I couldn’t say. But if you’re looking to bathe in a soulful voice singing some seriously good songs, then give Honest Man a spin.